Ah, Spring ~ the fickle season. Bringing us out on a lovely day then slapping us back inside with an unexpected snowstorm. “Cover the “ – you can fill in the blank! And on the other side of spring, another lovely day followed by a scorcher – “Water the “ and fill in the blank! Let’s talk about the less emotional side of autumn. If Spring is a drama queen, then Fall is the more stable sister season; less intense in terms of mood swings. We glide into cooler days, cooler air temperatures are easier of plants, the soil remains warm and allows roots to grow longer than the spring, up until a freeze. 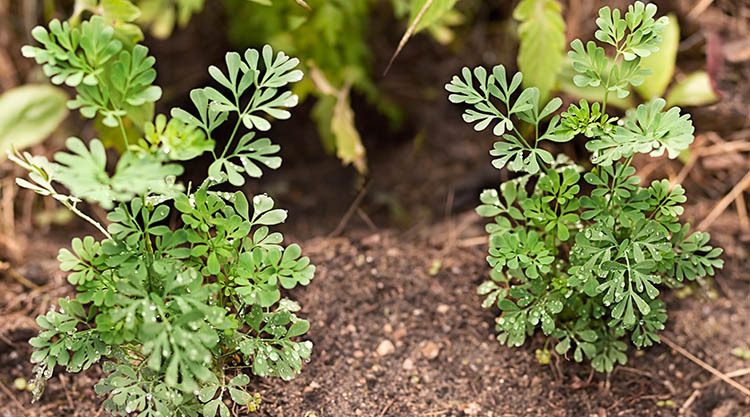 Plants can devote their energy to growing tough, strong and healthy root systems. Harvesting herbs in the fall is a joy. The sun is less intense in the fall, and not only is that better on the plants, what about the gardener? Right now, in mid-summer in Zone 7A, I find myself gardening in the very early morning and harvesting late, almost dusk. It’s hot and humid in my garden, and I’m at war with all of the pests and diseases and weeds that are just waiting to invade. Honestly, gardening in July is a challenge. Give me the cool and pest free days of autumn. Sure, there are mosquitos and a few other pesky challenges, but I’m much better equipped to deal with them in autumn. Right now, they just make me cranky! So, as we begin growing our Fall Crop, over 150 different herb plants, we turn our attention to helping our customers understand the value of growing in autumn. many culinary herbs grow best in the fall season. 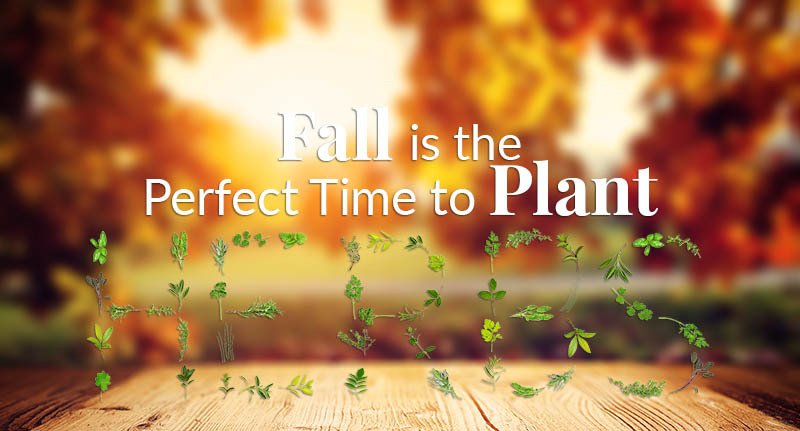 Take some time to review the plants we offer, think about your own wants and needs in both fall and spring … and summer, and realize that planting these herbs in the fall not only gives them the best start, but it provides you with both a fall and spring/summer crop as well as gives you the opportunity to garden at what we think is the BEST time of year!